NEUERÖFFNUNG am 08. Mai 2010 in Köln!!! Ab Mai haben Dreirad & Elektro Dreirad-Liebhaber im Großraum Köln einen Grund mehr zum Feiern! 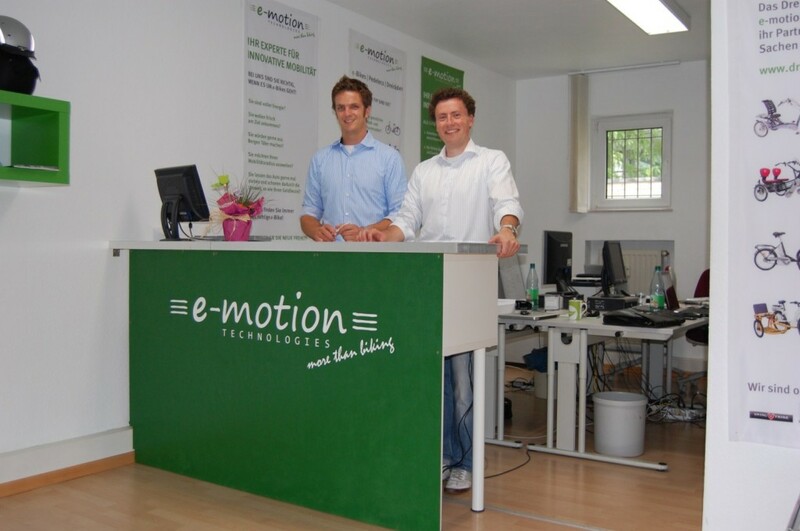 e-motion Technologies, der Partner und Experte für innovative Mobilität, eröffnet seinen erstes Dreirad-Zentrum in Köln und stellt damit das Rheinland auf neue Räder. Wir möchten diesen Tag gerne mit Ihnen zusammen feiern und laden Sie hiermit herzlich zu unser Neueröffnungsfeier am 08.05.2010 ab 10:00 Uhr ein. Kommen Sie vorbei! 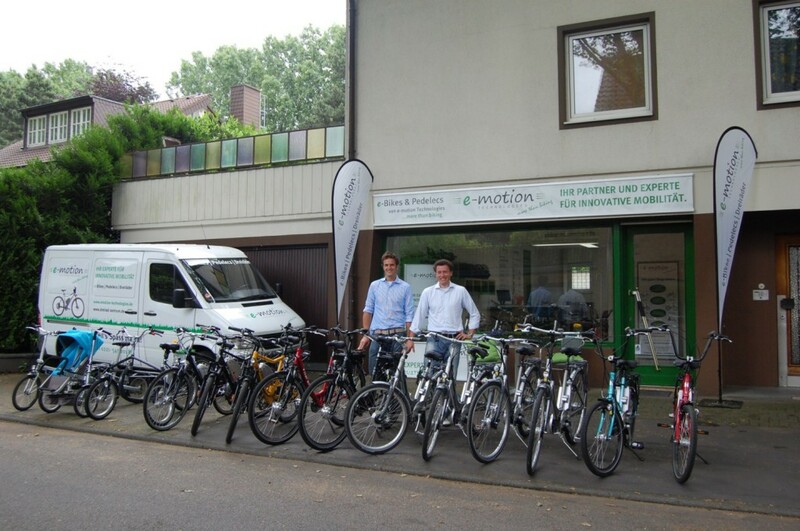 Fahren Sie die verschiedenen Dreiräder Probe und erleben Sie eine neue, intelligente Art der Mobilität! Für Snacks und Getränke ist natürlich auch gesorgt. I've been surfing on-line greater than 3 hours lately, yet I by no means discovered any interesting article like yours. It's beautiful price enough for me. Personally, if all site owners and bloggers made good content material as you did, the net will be much more useful than ever before. Howdy I am so excited I found your web site, I really found you by accident, while I was browsing on Yahoo for something else, Regardless I am here now and would just like to say thank you for a tremendous post and a all round thrilling blog (I also love the theme/design), I don't have time to browse it all at the moment but I have saved it and also added in your RSS feeds, so when I have time I will be back to read a lot more, Please do keep up the awesome job. Hi friends, how is the whole thing, and what you desire to say about this article, in my view its truly remarkable in support of me. What's up, its fastidious article concerning media print, we all understand media is a fantastic source of information. You really make it seem really easy with your presentation but I in finding this matter to be actually one thing that I feel I might never understand. It kind of feels too complex and extremely large for me. I am looking ahead on your subsequent publish, I'll try to get the grasp of it! Thank you for the auspicious writeup. It in reality was a entertainment account it. Glance complex to far added agreeable from you! By the way, how could we keep in touch? I have been browsing online more than 2 hours today, yet I never found any interesting article like yours. It is pretty worth enough for me. In my opinion, if all web owners and bloggers made good content as you did, the internet will be much more useful than ever before. Hello there! This blog post could not be written any better! Looking at this post reminds me of my previous roommate! He continually kept talking about this. I will forward this post to him. Pretty sure he will have a very good read. Thank you for sharing! Can I just say what a relief to discover somebody that actually knows what they're discussing online. You definitely realize how to bring a problem to light and make it important. More people need to look at this and understand this side of your story. I was surprised you're not more popular because you surely have the gift. I am really glad to glance at this webpage posts which contains plenty of useful data, thanks for providing such information. you're in reality a just right webmaster. The website loading pace is incredible. It seems that you're doing any distinctive trick. In addition, The contents are masterpiece. you have done a great task on this subject! Hi there, its pleasant paragraph concerning media print, we all be aware of media is a enormous source of data. Good day I am so thrilled I found your webpage, I really found you by mistake, while I was researching on Bing for something else, Anyways I am here now and would just like to say thank you for a tremendous post and a all round interesting blog (I also love the theme/design), I don�t have time to look over it all at the moment but I have saved it and also included your RSS feeds, so when I have time I will be back to read a lot more, Please do keep up the fantastic b.